Trumpet reigns supreme in this podcast. We hear from some great trumpet players across many generations. We begin by featuring Josh Evans from his first recording as a leader, and as a sideman on others. Then we hear some classic jazz horn playing from the likes of Donald Byrd, Woody Shaw (w/Larry Young) and the great Miles Davis. The trumpet set concludes with Ambrose Akinmusire, Avishai Cohen and Sean Jones. The podcast concludes with a tribute album to the late Melvin Sparks from Sparkplug led by ex-Sparks sidemen Beau Sasser B3 and Bill Carbone drums and featuring guitarist Ryan Hommell. This podcast features some fine debut recordings by young jazz artists with roots in CT and MA. 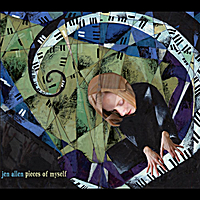 We start with Jen Allen's CD Pieces of Myself. Jen is a fine pianist well known to CT jazz fans. Her CD features her own compositions and arrangements with a mostly straight-ahead jazz romp with some of the areas best musicians. 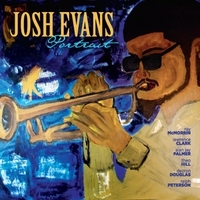 Josh Evan's CD shows his great chops on trumpet as well as his writing skills with a fiery sextet including two tenors. Geoff Vidal from Western Massachusetts delivers a uniquely creative sound with original compositions and some haunting arrangements with his quintet of Brooklyn based musicians. The show also features tunes from recent releases by Brooklyn bassist Michael Feinberg, post-modern jazz pianist Vijay Iyer, and vocalist Tammy Scheffer. This is our wrap-up of the Newport Jazz Festival coverage. For this podcast we present some of the lesser known artists that appeared, which also accounted for some of the most compelling performances of the two day event. Of particular note are Ambrose Akinmusire, John Hollenbeck Large Ensemble, and Avishai Cohen. For me, the highlight of the festival belonged to Charles Lloyd's Sangam, a trio also featuring tabla master Zakir Hussein and Eric Harland on drums. My Newport Jazz Festival Review on WHUS web site. NPR's excellent coverage with audio and video. Here is part 2 of the Newport Jazz Festival Preview show. For those who plan on attending this historic jazz event, here is a taste of what you will be seeing and hearing. For those unable to attend, I hope you dig this selection of tunes. If you are there, make sure to keep an eye out for the guy in the WHUS tee shirt, and come over and say "hi!". I'll be running a live Twitter feed @digginjazz . You can get more information on the Newport Jazz Festival at their website.